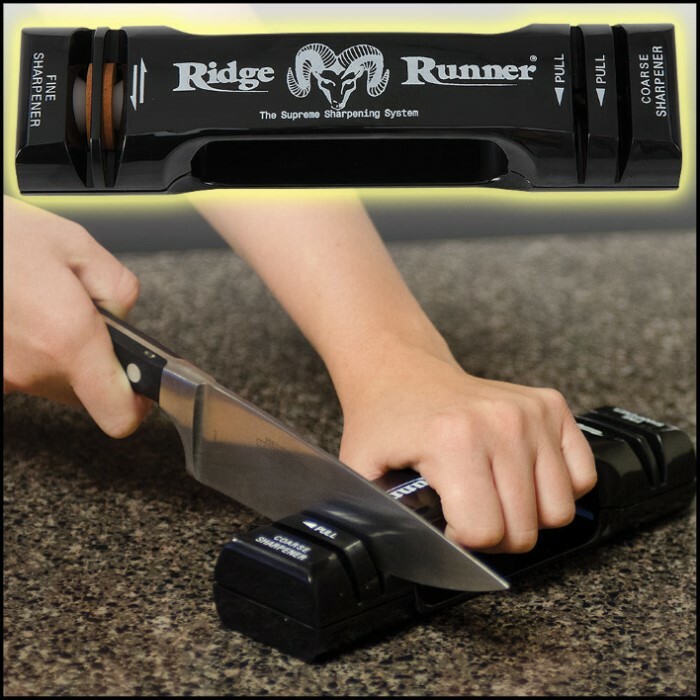 Ridge Runner Knife Sharpener | BUDK.com - Knives & Swords At The Lowest Prices! 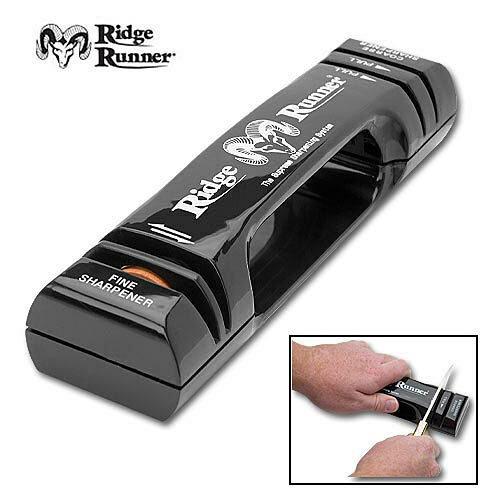 This Ridge Runner knife sharpener is designed to keep a sharp edge on both single and double edged knives. The sharpening wheels are super hardened alloyed metal and ceramic constructed for fine and coarse sharpening.